Dutch-based chip maker Gemalto has acknowledged that American and British spy agencies tried hacking its systems years ago, but critics have slammed that response as denial and damage control. In a statementWednesday, the multinational corporation confirmed last week’s revelations of hacking by the United States National Security Agency and Britain’s GCHQ in 2010 and 2011, claiming they “only breached its office networks and could not have resulted in a massive theft of SIM encryption keys” as reported. Reporters who uncovered the hacking attempts have criticized Gemalto’s statement, saying the company only learned about the attacks last week when reached for comment, and that a proper investigation in just five days was simply not possible. GCHQ/NSA hacked your system, cyberstalked your employees and stole encryption keys without you knowing. Response: Everything is fine now. The Intercept magazine, which published the original investigation into the Gemalto hacks, quoted several security experts who characterized the company’s statement as “a lot of effort…to minimize and deny the impact of some old attacks,” and more of a “damage assessment” than a proper investigation. “A true forensic investigation in such a complex environment is not possible in this time frame,” Ronald Prins of the Dutch firm Fox IT told The Intercept. Last week, The Intercept published an investigation into the hacks by Jeremy Scahill and Josh Begley, based on the revelations by Edward Snowden, a former contractor for the NSA. Snowden’s documents provided insight into how and why the surveillance services targeted the Dutch-based multinational. Gemalto makes some two billion SIM cards for 450 wireless providers around the world, as well as chips for luxury cars and biometric US passports. Its security technology is used by more than 3,000 financial institutions and 80 government organizations. However, documents cited by The Intercept directly contradict this: We “believe we have their entire network,” the author of a secret GCHQ slide reportedly boasted. Targeting the manufacturer of SIM cards, used in most mobile devices around the world, would give the US and UK intelligence agencies the ability to collect mobile communications without government warrants or the permission of service providers. Gemalto CEO to western intelligence agencies: go ahead and hack us, we won't sue you, even with damning evidence. 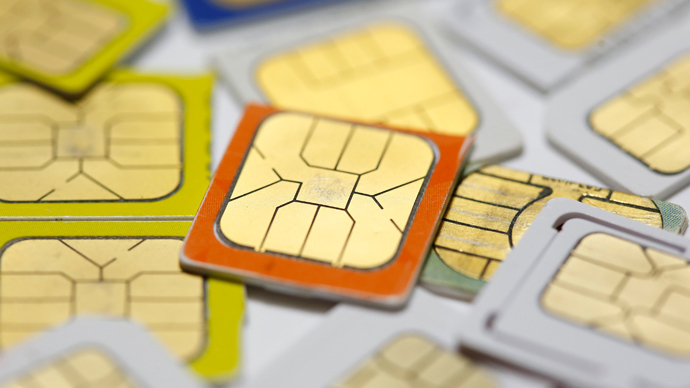 Theft of the SIM keys “enables the bulk, low-risk surveillance of encrypted communications,” Christopher Soghoian, principal technologist for the American Civil Liberties Union, told The Intercept. Gemalto and its employees were targeted by spies “not because they did anything wrong, but because they could be used as a means to an end,” he added. According to The Intercept, fixing the security flaws in the current mobile phone system that intelligence agencies “regularly exploit” would take “billions of dollars, significant political pressure, and several years.” Jeremy Scahill, one of the authors of the original article, was disappointed by Gemalto’s denials as much as the media's willingness to take them at face value. Most of the reporting today on Gemalto's so-called "investigation" (6 days!) is credulous and lazy. It's really pathetic. China appears to have taken notice already. Citing security concerns over Western hardware, the government in Beijing has dropped a number of Western companies from its approved state purchase lists. Cisco, Apple, Citrix, and Intel’s McAfee security software are among the affected.